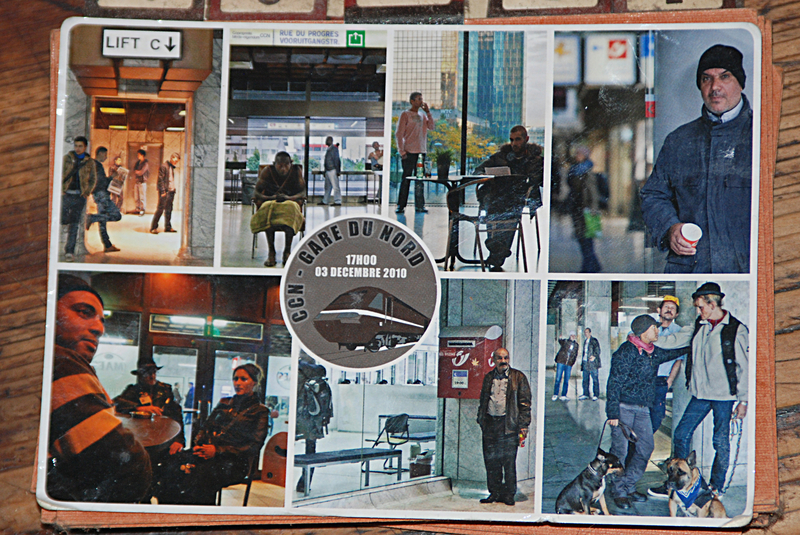 Between September 2010 and June 2011 the performance collective C&H in Brussels did the project Postcards From The Future. Together with inhabitants they worked on a set of postcards each one representing a different area in Brussels. Every month one new postcard was shot with the people frequenting or living in the chosen area. Like every postcard the Postcards From The Future show a certain location and its people. Each Postcard was linked to a certain date and a certain time in the future. It was an invitation to an event in the future. If people went to the location at the certain time, they got part of the prophecy given on the postcard. So a reenactment of the scenery on the postcard happened. A Performance. Christiane Huber cooperates for the Postcard Gare du Nord with the collective C&H and acted together with Heike Langsdorf as a director.